This is the work of Uncle Tim in Hanalei, quite an interesting character (He is moving his art to Carmel). I enjoyed the conversations as much as the process. 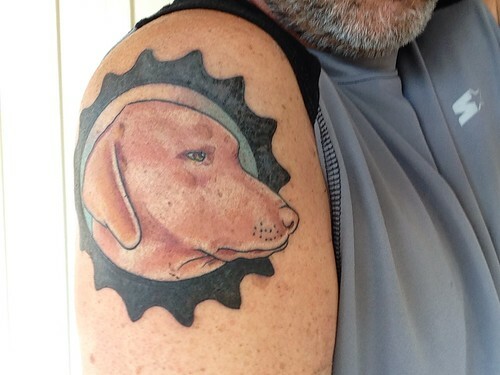 He took my idea of putting my dog icon inside a gear a bit farther by making Mickey's nose point out of the cog. Can't imagine what mom would say, but she always surprised me by not being phased by my life choices.